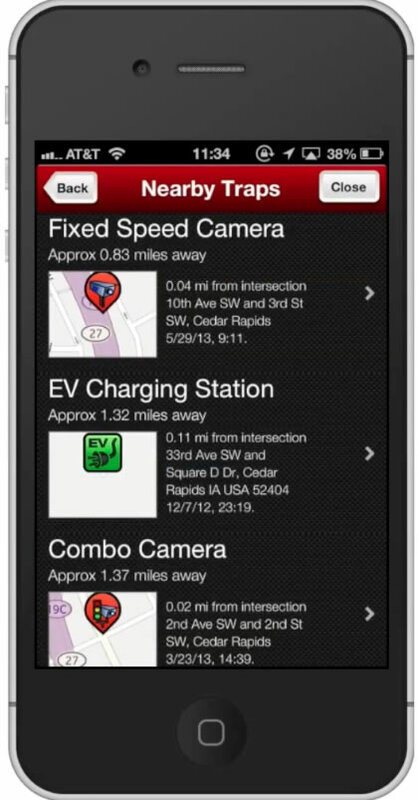 In this tutorial you will learn how to get police radar, camera and speed trap detectors. 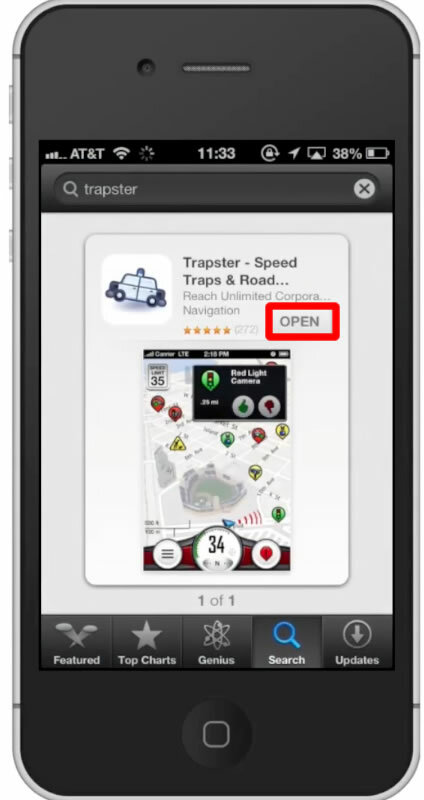 The app we are going to download is called Trapster. Trapster displays your location on a map using the iPhone’s Wi-Fi location capabilities. Reported speed traps pop up along your route. 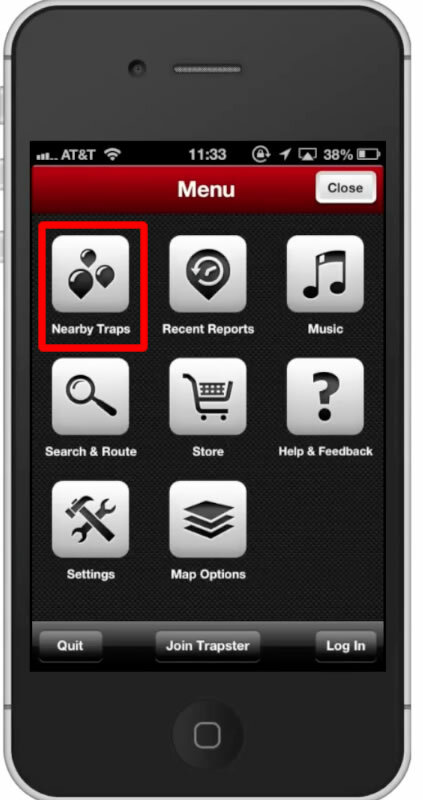 From here tap the “Nearby Traps” button. This will give you a list of traps around you and how far they are from you. This is very helpful in knowing where to avoid.